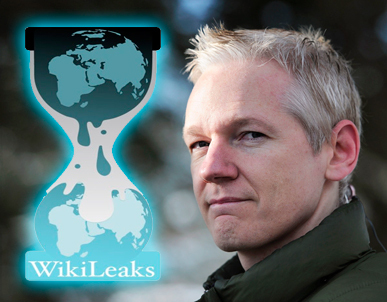 WikiLeaks’ door is knocked by bankruptcy because of the blockade established by US Government that stopped all fund sources for WikiLeaks like Visa, MasterCard, PayPal and Western Union. Wikileaks could always open the door and declare their own bankruptcy anytime but so far Julian Assange, the founder of WikiLeaks, along with Daniel Ellsberg and John Perry Barlow are striving to find a way for Wikileaks to survive. So far WikiLeaks have lost 95% of their income because of the blockade and foundation to raise funds is about to form to cover the situation. The existence of WikiLeaks itself is still controversial among readers. As a reader, I always eager to read all documents that are kept as secrets by governments but in the end I think some documents are supposed to be in a safe box. Simple example, I am not an important person; I am just an ordinary blogger who are working in a palm oil plantation company in the deep of West Kalimantan. In short, I am not significant if compared to Mr. Lynch (ref: The A Team movie, all CIA agents are named/called as Mr. Lynch). However, I have some documents that I don’t want to share to anyone, not because it is important or contained dangerous formula of biology weapon but because it is just simply too personal. However, I have no idea what kind of business that US Government tried to hide from the world. So far, some documents are just worth reading but I think WikiLeaks should be more selective in sharing documents that they have obtained from sources that should-not-be-named. See, even WikiLeaks have secrets they don’t want to share. The Power of Six is actually the book I’ve been reading right now. Well, as a fantasy story freak, some of you might be wondering why I could be this late of reading the book. The answer is simple because in a remote area I’m currently living right now is actually impossible for me to have access to new printed book, which I love to read. That is why in the end I have to give up looking for a chance to have the access, instead I’m ended up reading the e-book version I could find for free in the internet. Here I am reading the Power of Six while the other office friends are busy working. Well, not all of them I guess, my PA friend is also having nothing to do this time, she’s just reading the Percy Jackson series e-book I’ve given to her a couple days ago. Surely you have known that The Power of Six is the next series of I Am Number Four, the book that made me love John Smith but I think I’m going to change my mind after I read The Power of Six. So, what do you think about The Power of Six? However, so far I could say that Six is really cool with her invisibility power, speed and everything while Four is a kind of unstable broken-hearted teenager. Well, I think I’m gonna love the Seven’s characteristic because she could paint and could see in the dark and also could breath underwater. Gosh, just can’t wait until The Power of Six are gathering together to break the Megadore down. The next book entitled “The Rise of Nine” will be published on August 2012. So for those who are currently mesmerized by Six’s powers, like me, you should wait for a while. Nb: I’m still wondering how Pittacus Lore looks like and what kind of power he has?????!!!!! So, Mr. Lore if you are somewhere out there, don’t worry you have me as your ally. It has been a long time I didn’t write, post and update my blog. I am a writer who is currently working in a palm oil plantation which office has very limited internet connection. Furthermore, I don’t have my own desk yet and I have no idea at all what I should do if the senior PA is not available around and my boss has a meeting in Pontianak. So, here I am writing something offline from my own old laptop. However, hopefully my post this time is useful enough for some people. I know it would not useful for everyone because all professional internet users must know how to use uTorrent. Well, you must be surprised that some people I met here don’t know how to use uTorrent. That is why I said that this information is only useful for some people who don’t know how to use uTorrent. Well, what uTorrent is actually? If you open Wikipedia you will find a very long story and history of uTorrent but if you ask me, I’ll define uTorrent as one of the media I use to download files faster. Some of you might have been familiar with some website download directories like Megaupload, 4Shared, Rapidshare, Mediafire and so on. The problem with those websites is you cannot make sure that the files uploaded by users are safe and spyware-free. Some files even fake because uploaded by unknown users. However, you should know some tips to download file from uTorrent because if you don’t know how to download it and then you would never be able to download the file from uTorrent. In this post, I’ll give you an example how to download a movie from uTorrent. What movie you want to download? Well, I’m currently interested to download Monte Carlo, a movie with Selena Gomez as the star. The first thing you should do is download the uTorrent software. It is very easy to find uTorrent software, you could Google it or visit uTorrent official web to download the software for free. Once you have downloaded the software, you should install the software to your computer PC. The second thing you should do is deciding which movie you want to download, you should know when the movie is released to avoid ambiguity from the title (if any). To check this information you could visit Imdb.com for complete movie database information. Based on Imdb.com Monte Carlo is released in 2011. Well, in this post I’ll share how I download the movie step by step, so you know how to download it exactly like the steps I take to download the movie. Visit Torrenz.eu. Well, visiting this website is a bit tricky. You cannot just type the URL in your web browser, I don’t know why but if I do it in my Chrome and then I will be lead to a completely different website. So, you should type Torrenz as keyword in Google and then you will be provided with the list of websites related to that keyword; choose the top one with Torrenz.eu as the main URL. Once you have entered the site you will be provided with a search column where you could type any file you want to download. As an example, you could type Monte Carlo and then choose files that has characteristics to be a movie file like Monte Carlo (2011) DVDRip nl subs Nlt-Release(Divx). Most of movie files have additional information. DVDRip, BDRip, BRRip – Most of movies with DVDRip in the title are considered to be in good quality because the movie is ripped from DVD. For the size is about 700 MB up to 1.4GB.  SiC or CAM is movie you should avoid because most of the quality is poor because the movie is manually recorded from camera video. Shortly, if you cannot find the DVDRip version means you should wait a bit longer until someone posting the DVDRip version. Some reliable uploaders for DVDRip movies is like aXXo, AMIABLE, SnOrF, FXG, FURIA, Mr. KickAss and so on. You will find some more familiar name for DVDRip uploaders. Once you have been provided with the list, there are more things that you should take into account. There are some things you should make sure first:  You should make sure whether the file is already verified or not. The green check indicates that the file is already verified by users to be good. The file size. Well, I personally prefer DVDRip movie file that has smaller file. If there is verified file which size is only around 700MB, what is the point of choosing file with bigger size like more than 1 GB? If you have chosen the file you want to download, just a simply clicking to the link and then you will be provided with the list of websites where you could get the uTorrent file for the movie file. If you ask me what are they? Well, I don’t have the answer, I know the practice but I am really bad in the theory. If you want to know, you could read Wikipedia.com for complete and detail information, so don’t ask me. There is my favorite website where I usually get the uTorrent file; it is ThePirateBay.se. Actually, you could just visit the website right away and skip all the tutorials I mentioned above but there is one limitation you should face that you cannot make sure whether the uTorrent is the file you really need or not. You cannot see whether the file is already verified unless you do all the tutorials I mentioned above. Once you have entered the website, in this matter is ThePirateBay.se. Don’t get tricked because the DOWNLOAD button is bigger than GET TORRENT button. What you should click is the GET TORRENT button and not the DOWNLOAD button. Just a simply clicking to GET TORRENT button, the download is automatically started. You could wait some minutes to check whether the seeders and leechers work really well or not. If it is not, you should delete the file and find another one with seeds and peers that work well. With a note, that you have installed the software in your computer. Well, my internet connection is in average speed and I just need around 1 up to 2 hours to download the file with size around 700MB. Just give it a try and you will find that downloading the movie from uTorrent is not only fun and fast but also really easy because if somehow you need to pause the download you would always be able to do that and whenever you want to continue the download you just need to open your uTorrent and continue the download. It’s blogging time. Yes, my blog is like an escape place for me, the place where I could feel free with my thought. It is true that I’m a kind of person with a lot of imaginations and thoughts. Sometime I don’t even be able to control my thoughts. There is always new ideas hovering my head and looking for a way out. Well, the problem is once the idea is hovering out is possible for me to lose them for good. That is why I love writing; it is a solution for me to record all the ideas I have though sometimes it is just too late. Well, I have no idea what I am about to write right now but I think it will be nice if I share my new experience in a new place where I currently living right now. There is a small city in the deep of Borneo named Sandai which is located about 4 hours from Ketapang, my hometown. The chance to live in Sandai is something that I cannot resist, so I accepted the chance and took is a challenge. There is a project called Ketapang Project in Sandai belongs to GoodHope, a company that is currently working in plantation business. The unique thing I got from this company after I accepted to work as Personal Assistant of the Plantation Manager is I found that most of palm oil area is taken over from PT. Alas Kusuma. It is a company that is working in logging business. It is a company where my father worked for more than 20 years since the company was opened in the early 80s. Since PT. Alas Kusuma is no longer re-planting the area, they sold the area to Agro Harapan Lestari, the sub-company of GoodHope that runs the project in Indonesia which specifically has several projects in Indonesia and Ketapang Project is one of them. Agro, where I’m currently working right now, is a new company as well and the project is started around 2010. So, it is just funny, once my father retired from PT. Alas Kusuma, I got accepted by a company that continues planting the area that once belonged to the company where he was working.